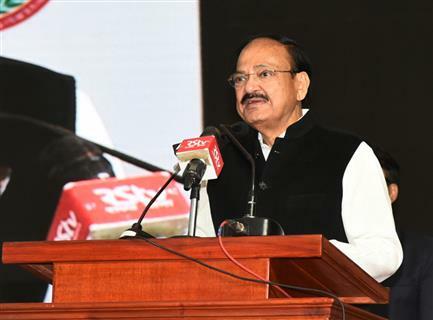 New Delhi: The Vice President of India, Shri M. Venkaiah Naidu has said that development and welfare must go hand-in-hand and emphasized that environmental sustainability and development are not mutually exclusive. Speaking at an ‘International Conference on Development Discourse` co-hosted by the English and Foreign Languages University (EFLU), Research for Resurgence Foundation (RFRF) and other organizations, in Hyderabad today, he said that development should be people-centric and nature-centric. “I am happy to share my thoughts with you all at this important `International Conference on Development Discourse` being co-hosted by the English and Foreign Languages University (EFLU), Research for Resurgence Foundation (RFRF) and other organizations. 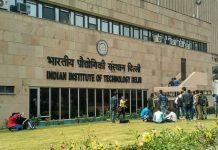 As mentioned in NITI Aayog’s [email protected] report, India’s youthful and aspirational population deserves a rapid transformation of the economy, which can deliver double-digit growth, jobs and prosperity to all.